The mushrooming of Iraqi local newspapers when Saddam’s regime ended was used by the American government to indicate the successful democratisation of the country. However, Dr Al Safi describes the transformation as producing an Iraqi media that offered no more than “a plethora of political, ethnic, tribal and sectarian mouthpieces”. 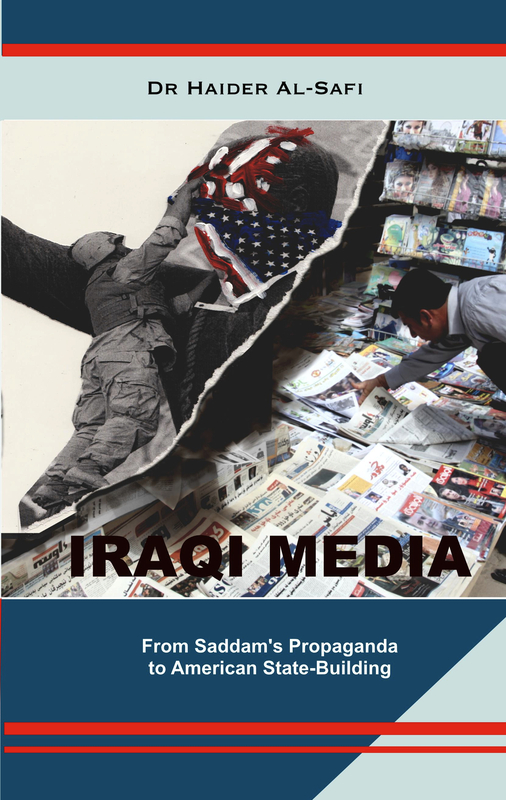 In Iraqi Media: From Saddam’s Propaganda to American State-Building, Dr Al Safi sets out a disciplined study of the Iraqi media after the toppling of Saddam’s regime on the 9th of April 2003. Against a background of media oppression during the Saddam era – much of which was pursued by Saddam’s notorious son, Uday – the research discloses American interventions in the operation and work of the Iraqi press between 2003-2006. The three main aspects of these interventions under scrutiny are: press legislation; planning and construction of new press entities; and attempts to influence pro-American press coverage following the invasion. Dr Al Safi’s work draws some startling conclusions and raises some poignant ethical questions about a politically and/or economically motivated media sector. He exposes the American obsession with control of all information and demonstrates how it was doomed to fail once that control was out-sourced to incapable hands in a multi-million dollar contract. This book is drawn from Dr Al Safi’s successful PhD thesis: The Media in Transition: The Rise of An ‘Independent’ Press in Post-Invasion Iraq and the American role in Shaping the Iraqi Press 2003 – 2005 (City University, London).